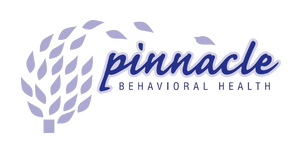 Since January of 2008, Rocco Pezzulo has been the Director of Operations for Pinnacle Behavioral Health. Rocco's communication skills and charisma play a important role in his day to day duties. Rocco is a graduate of Siena College with a Bachelors Degree in Business. Aside from those duties, Rocco is in charge of daily intakes and he even runs a life coaching course at Pinnacle. Since Rocco's tenure, Pinnacle has grown over 200% through business planning, infrastructure, recruitment, and expansion.